In the wake of yet another new film (released in July) and much scuttlebutt regarding a new TV show reboot, this movie remains the cleanest, clearest reiteration of the ethos of the original show to date. Creator Gene Roddenberry himself may have wanted the show and films to reflect the more sober traits of his original conception – de facto egalitarianism, benevolent imperialism, the headiness of exploration itself, as exemplified in Star Trek: The Motion Picture (1979) and the Next Generation series (1987-1994, plus films) and other recombinations of the franchise through the decades, but what he got, and what fans carry deep in their hearts for the entire Star Trek universe, is much closer to what’s captured in the energy, interpersonal dynamics, and downright fun of Star Trek II: The Wrath of Khan. Satoshi Kon’s last film might just be a masterpiece, and that only makes it all the more depressing that he passed away with that as his final effort. When the animator and cartoonist passed away of sudden pancreatic cancer in 2010, he left behind a body of work that remains both impressive and startlingly mature, yet also curiously unfinished. It seemed as though among all the great modern anime directors, Kon might’ve been the one to really bring the medium into the forefront of world cinema and out of the fenced in territory of otaku fandom and family-friendly fare. Checkerphil and I discuss the film, Kon’s career and dreams in general, while I offer some thoughts on our continuing national nightmare in the form of the Presidential election. Cult cinema has no discernible boundaries, and is primarily defined by the implications of its title. The films within this classification are far from uniform by way of quality or genre, and neither are they confined by reputation or the temper of the original reviews. Movies develop a cult following over time as a result of its adherent engaging in repeat viewings, quoting dialogue and even in some fortuidous circumstances the opportunity to engage in audience parroting of dialogue at events or festivals hosted by characters dressed in flayboyant garb. The term itself originated in the 70’s, labeled to provide some description for underground films and those gaining added exposuse on the midnight circuit. Cult films can be controversial, appeal to specific subcultures or pure camp and for many provide hours of guilty pleasure. Films like Plan Nine from Outer Space, She-Demons and The Attack of the Crab Monsters have often been framed as movies “so bad that they are good”, and many of their more enterprising adherents have gleefully taken in repeated viewings while under the influence. Gravity (2013, directed by Alfonso Cuarón) is a technical marvel and one of the most viscerally terrifying films I’ve ever seen. It’s the very definition of a “ride” movie. Show this on the huge screen at Epcot center while shaking the audience with rumble seats and it wouldn’t be out of place. This isn’t a criticism, and if I seem ungrateful going forward for focusing on what the film lacks, I’m not, really, because for what it is,Gravity is absolutely splendid. The film this most reminds me of is The Impossible. Like that film, the seeming miracle of what it puts on screen frequently overrides other critical concerns. Film craft is underrated in critical discourse, sometimes. Does a Fabergé egg need to say something beyond the exquisite craft of its making? I say no. A narrative film, though, makes promises, and like The Impossible, this film has dramatic deficiencies. Cuarón is smart to keep things simple, but it makes for a film that’s ultimately shallow, however broad the net of its craft may be cast. Christopher Nolan’s fifth film was met with muted applause on its release in 2006. Many critics were impressed by it, yet at the same time maddened by it. Others didn’t rate it at all and couldn’t take it seriously. 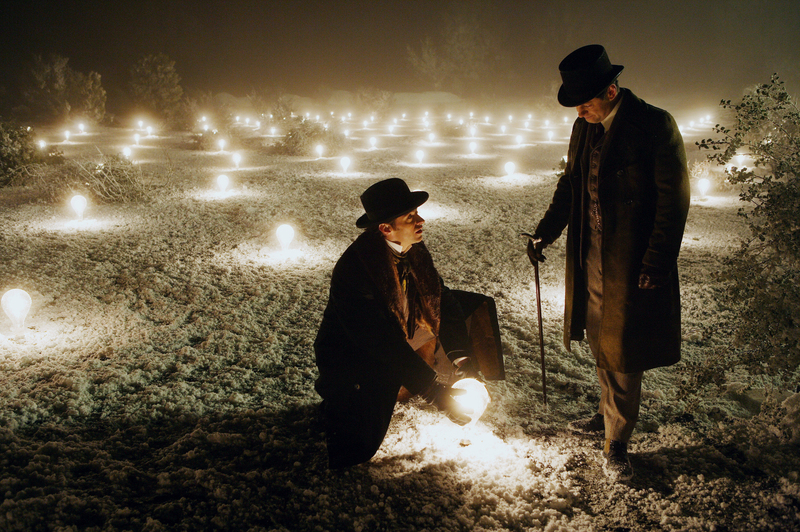 The reasons for ironically slighting this sleight of cinematic hand were numerous, but mostly centred around several factors, the biggest being the release earlier that year of similar magic trick The Illusionist – backed up by the fact that in the UK the earlier film came out afterwards, and received the fate Nolan’s film had received in the US. That other film was a fine film in its own right, but once the trick is unravelled, there’s not much else to it, while it’s never explained how its protagonist managed to make himself incorporeal. There is nothing in Nolan’s film that isn’t explained, and yet for all that, it remains enigmatic, multi-textured and involving no matter how many times you see it. This is not merely a case of pulling the rug out from under the audience, but convincing them that the rug was never there in the first place. “Ghost in the Shell” is one of the premier anime films of the world, not only because it’s one of the most influential and popular, but because it’s one of the few outside of “Akira” and a handful of Miyazaki movies that most self-respecting art-house patrons are liable to admit to seeing. I personally don’t rate it either as the best work of its director, Mamoru Oshii, or even the best work of the GITS franchise, which has spawned several fantastic animated works for television and OVA alongside Oshii’s films, but the original 1996 movie has a power that can’t be denied, even as it’s dissected. That’s what Checkerphil and I set out to do on CinemaVille again, with a supplemental essay on Wim Wender’s “Until the End of the World” as an aside. Last week’s family tragedy has not abated and won’t for a long time for members of my family and myself, but I have found at least one way to cope – to immerse myself in long-elusive works of the cinema. The past several weeks my friend and long time site colleague Allan Fish and I have engaged in some fantastic film discussions/back and forth commentary everyday via FB message on the major parcel of harder-to-find cinematic gems, many of them Japanese, but a good number European as well sent to me a few weeks back. Over the years Allan and I have shared our revelations and opinions on many films he has recommended, and the past weeks have seen that practice gloriously accelerated. I received Allan’s latest parcel two weeks ago and have attacked it with singularity of purpose, reporting back to the sender all times during day and night to report my final rating and numerous other observations during various pauses while watching. It has been quite an experience (and as always from Allan an education) and will continue well into the future. Over the past seven days that have followed our tragedy I have watched twenty (20) feature length films from the “stacked deck” and have come away infinitely richer is expanding my cinematic boundaries. I greatly lament that many of these films have not yet received legitimate DVD/blu ray releases, though in large measure the copies Allan has sent on have been superlative in quality. One of the 20 was actually from an Eclipse set I acquired this week at Barnes & Noble as part of the July 50% off sale. But the other 19 were sent on from Allan.